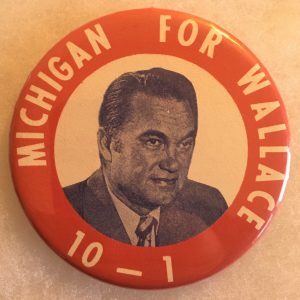 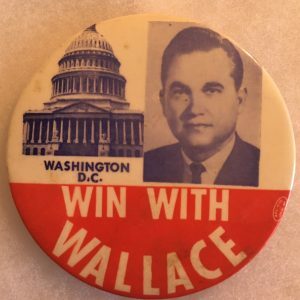 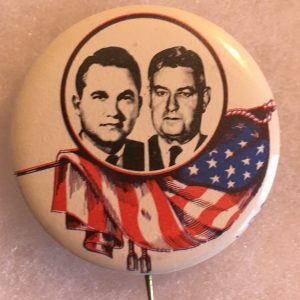 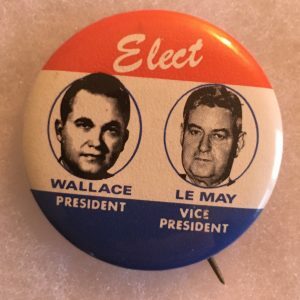 George Wallace campaign buttons represent the American Independent Party in the 1968 presidential election. 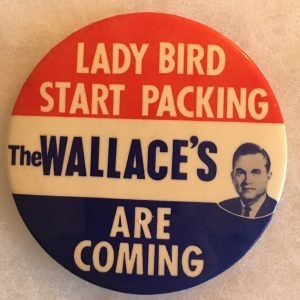 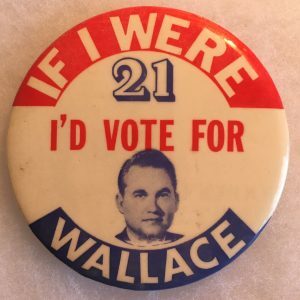 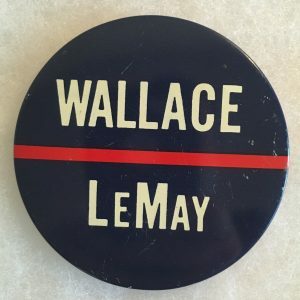 George Corley Wallace Jr. was an American politician and the 45th governor of Alabama, having served two nonconsecutive terms and two consecutive terms: 1963, 1967, 1971 1979 and 1983 to 1987. 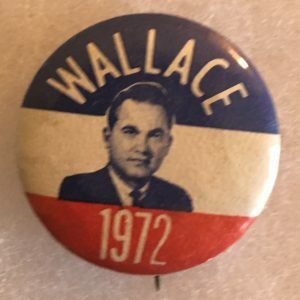 Wallace has the third longest gubernatorial tenure in post-Constitutional U.S. history at 5,848 days. 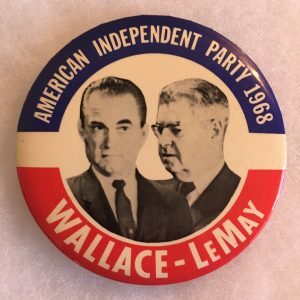 After four runs for U.S. president (three as a Democrat and one on the American Independent Party ticket), he earned the title the most influential loser in 20th-century U.S. politics, according to biographers Dan T. Carter and Stephan Lesher. 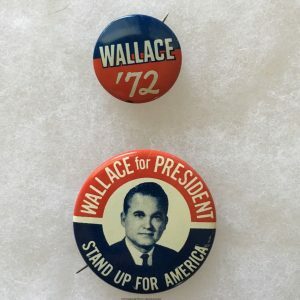 A 1972 assassination attempt left Wallace paralyzed, and he used a wheelchair for the remainder of his life. 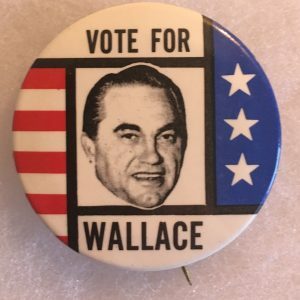 He is remembered for his Southern populist and segregationist attitudes during the desegregation period. 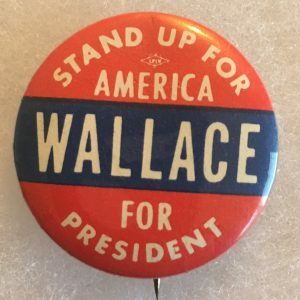 He eventually renounced segregationist but remained a populist.